How many people can say that their father actually fought in the War Between The States? Is it possible for a person today to claim that their father fought in the war? Yes, about 30 actual sons of Confderate Veterans are alive in 2010. About 110 were alive in 2000, and the numbers are quickly fading. If a young teenager actually fought in the War, and had children in the 20th Century, then their children would be alive today. Most of the southern states provided a pension to the Confeferate Veterans, and so they could afford a wife and family. Many of them got married or remarried a younger woman. When he mentions that his daddy fought for the Confederacy, H.V. Booth gets more than a few raised eyebrows. Enlarge photo H.V. Booth, who will turn 92 this month, is believed to be one of only two men alive in Georgia who are the sons of Confederate veterans. His father was a guard at Andersonville. Booth stands at his father’s grave at Antioch Baptist Church Cemetery in Dewy Rose near Elberton. Bita Honarvar, bhonarvar@ajc.com H.V. Booth, who will turn 92 this month, is believed to be one of only two men alive in Georgia who are the sons of Confederate veterans. His father was a guard at Andersonville. Booth stands at his father’s grave at Antioch Baptist Church Cemetery in Dewy Rose near Elberton. Enlarge photo H.V. Booth, at about age 3, is pictured with his father, who lived until 1934. H.V. was 15 when his dad died. Family photo H.V. Booth, at about age 3, is pictured with his father, who lived until 1934. H.V. was 15 when his dad died. Really? Really; Booth says, mimicking people said that is incredulity.They just cannot believe it. His father, Isham Johnson Booth, a country boy from north of Athens, played a bit part in the Civil War. But it was a grim role, the memory of which never left him and was something he rarely spoke about. He was a guard at Andersonville, the prisoner-of-war camp in south-central Georgia that has become synonymous with suffering. Booth, who turns 92 this month, is the end of a chapter of American history. He is an actual son of a Confederate veteran. There aren't many anymore. The Sons of the Confederate Veterans; the organization, that is believes there are about 30 real sons; still alive, including two in Georgia. Their fathers were young when Gen. Robert E. Lee surrendered in 1865 but old when they sired children in the early decades of the 20th century. We are the last link; Booth said in a recent interview. the last link of the mouth to the ear. There wasn't much mouth-to-ear. Isham Booth did not talk about the war much to his son. They were too busy working. The elder Booth was a stern man who eked out a living as a sharecropper and died at age 86 in 1934, when his son was 15. Up until the end, he picked 90 to 100 pounds of cotton a day. It was a message from a man who knew early on that life was hard. Isham Booth was born in 1847 and joined the Confederacy when he was 16. There was a mustering field near Elberton, where the army took in new recruits. They said, We need 400 men to send to Virginia. We need 100 men in Alabama,Booth said. At the time, Union Gen. William Tecumseh Sherman's army was bearing down on Georgia, and young Isham Booth, it is believed, stayed in state. At some point, he was assigned to Camp Sumter (now known as Andersonville), which started holding Union prisoners in early 1864. By August, more than 32,000 were stuffed like chickens into a squalid 26.5-acre pen. Skeletal prisoners were common. In July 1864, a Union prisoner wrote in his diary the compound was a “hell on Earth where it takes 7 of its ocupiants [sic] to make a shadow. Near Vidalia, at a crossroads called Tarrytown, lives 84-year-old John McDonald, whose father enlisted with his rifle and horse when he was just 13, following two older brothers. Near Vidalia in southeast Georgia, real son John McDonald said he does not remember much about his father. James Malachi McDonald was 79 years old in 1926 when he had his 16th and last child, John. Five years later, just a week shy of turning 84, McDonald's father was dead. John, who turned 84 this week, chuckled at the idea of having his own 4-year-old son at this age. He would be delighted, he said. His mother, Ida Lucinda, was 43 when he was born. She had been married before but her husband ran out on her. She wasn't hunting a pension, McDonald said. My mother was very attractive, he said. They felt like they were good for each other McDonald vaguely remembers sitting on his father's lap at church and playing with his watch or watching him pull up in his buggy. I remember he got a whip on me a couple days before he died, he said. His father apparently didn't tell his wife much about the war. Or she didn't pass it on to him. Family research found that he signed up when he was 13. They believe he did so after seeing two older brothers enlist. After the Civil War, James Malachi bought a tract of land and farmed well into the 20th century. 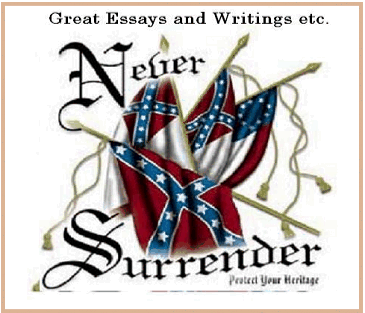 The United Confederate Veterans Association was established in 1889 as a benevolent, historical, social, and literary association. It was active from 1889 to the mid 1940s. 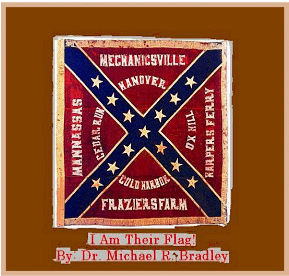 Its mission was to "unite in a general federation all associations of Confederate veterans, soldiers and sailors, now in existence or hereafter to be formed; to gather authentic data for an impartial history of the war between the States; to preserve relics or mementos of the same; to cherish the ties of friendship that should exist among men who have shared common dangers, common sufferings and privations; to care for the disabled and extend a helping hand to the needy; to protect the widows and the orphans, and to make and preserve a record of the services of every member, and as far as possible of those of our comrades who have preceded us in eternity. The Confederate Veteran Magazine was originally published from 1893-1932. It contained numerous first hand accounts of the battles and articles of general historical and genealogical interest. The organization known as the United Confederate Veterans was formed in New Orleans, June 10, 1889. The inception of the idea for a large and united association is credited to Colonel J. F. Shipp, a gallant confederate, commander of N. B. Forrest Camp, of Chattanooga, Tennessee-the third organized-who was in successful business for years with a Union veteran. Colonel Shipp had gone to New Orleans in the interest of the Chattanooga and Chickamauga Military Park, and there proposed a general organization of Confederates on the order of the Grand Army of the Republic, his idea being to bring into a general association the State organizations, one of which in Virginia, and another in Tennessee, had already been organized. J. A. Chalaron, secretary. A constitution was adopted, and Lieutenant-General John B. Gordon, of Georgia, was elected general and commander-in-chief. At this meeting there were representatives from the different Confederate organizations already in existence in the States of Louisiana, Mississippi and Tennessee. While the organization was perfected in New Orleans, the first reunion of United Confederate Veterans was held in Chattanooga, Tennessee, July 3 to 5, 1890. To this reunion invitations were extended " to veterans of both armies and to citizens of the Republic," and the dates purposely included Independence Day. The first comment both in the North and South was, " Why keep up the strife or the memory of it?" but it was realized that such utterances were from those who did not comprehend the scope of the organization of United Confederate Veterans, which, from the very outset, was clear in the minds of its founders. It was created on high lines, and its first commander was the gallant soldier, General John B. Gordon, at the time governor of Georgia, and later was United States senator. General Gordon was continued as commander-in-chief until his death. The nature and object of the organization cannot be explained better than by quoting from its constitution. The reunions, thus happily inaugurated, became at once popular and have been held every year. No event in the South is comparable in widespread interest to these reunions. Only the large cities have been able to entertain the visitors, which range in number between fifty thousand and one hundred thousand. reference to that held in Little Rock, Arkansas, in May, 1911, a city of a little more than thirty thousand inhabitants, wherein over a hundred thousand visitors were entertained during the three days. The Confederates have not pursued the excellent method of rotation in office in their organization, as have the Grand Army comrades. General John B. Gordon sought to retire repeatedly, but his comrades would not consent. At his death General Stephen D. Lee, next in rank, became commander-in-chief. It was a difficult place to fill, for there never was a more capable and charming man in any place than was General Gordon as commander-in-chief. However, General Lee was so loyal, so just, and so zealous a Christian that he grew rapidly in favor, and at his death there was widespread sorrow. As our ancestors in the past had to defend out states rights from an oppressive federal government, we do must defend our selves in the name of states rights. We need to be familiar with the gun control debate.